One Million for Zooniverse – and One for Galaxy Zoo! 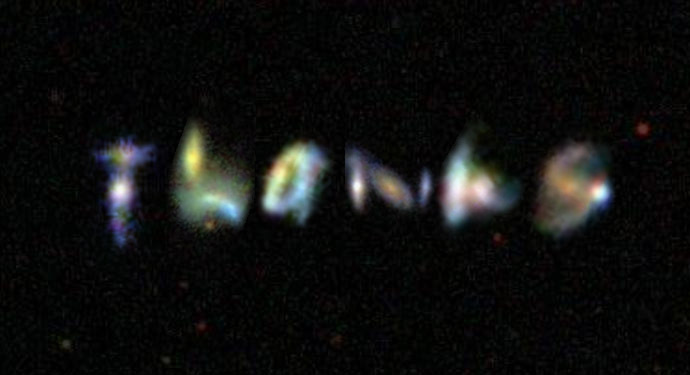 Galaxy Zoo started in 2007 because astronomers had 1,000,000 galaxies that needed to be sorted, classified, and examined. After the incredible response from the public, the zookeepers realized that this kind of problem wasn’t limited to galaxies, nor even just to astronomy, and the Zooniverse was born. Galactic-Scale Gratitude. You all are awesome. Seems I’m a bit more of a Galaxy Zoo volunteer than you, but also a big Snapshot Serengheti fan.